I have already spoken about it before, but one of the things that I love the most is having a bath or a shower. There is a problem, though. I don’t have a bath at home, so I can only use the shower. Unfortunately, we can’t use as many products in it. This is why I think you need a nice body wash if you want it to be pleasing. Some of my favourite body washes ever are from Molton Brown, which is the brand that I am going to talk about today. Molton Brown is a British brand funded in 1973. All of their products are made in England, which adds an extra value in my opinion. However, they use ingredients from all over the world, which they blend later on. Their body washes and everything else they make are for both men and women, although they also have some specific products for each. They are also cruelty free. In fact, they have never tested on animals. Their range of body washes is very wide, so I am sure you can find at least one scent that you like. I have tried quite a few actually, but definitely not them all. Even though it is difficult to pick one, I would say that Ylang Ylang is my favourite scent. I also like their classic Orange and Bergamot, mainly because it smells very fresh. You can also find some seasonal scents. For example, I think Frankinscense and Allspice, which is one of the hand washes you can find in the featured photo, is the perfect scent to using during Christmas. If you want to try them, I recommend that you get some travel size ones as you may feel a bit spoilt for choice. In fact, this is what I did. 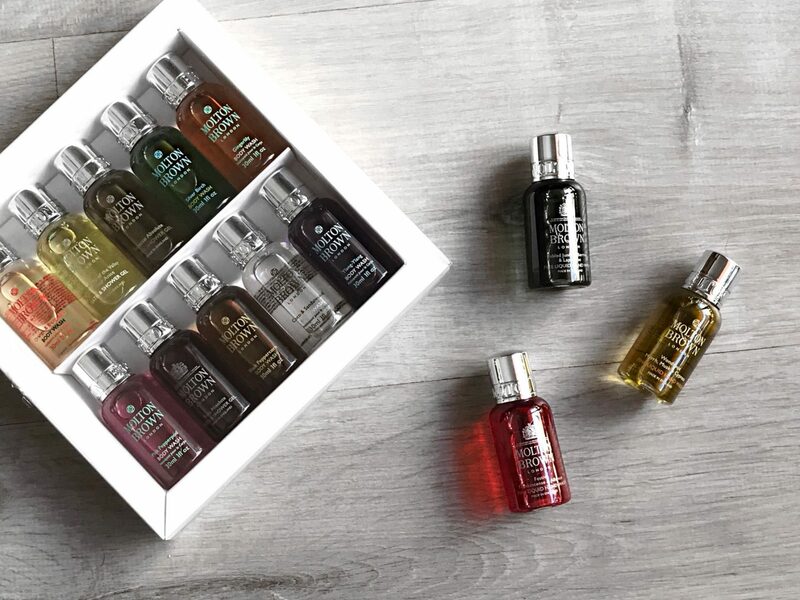 Their minis are perfect for travelling, but also for discovering new scents. This way you can know the ones that you like and the ones that you don’t. Once that you find your favourites, you can buy the big ones and enjoy them. This is useful for all their products, not only their body washes. To be honest, I could not recommend Molton Brown more. I have also used their candles in the past and they are as amazing. You can get them in the same scent as your body wash. For this reason, you should check out all of their products on Maleskin or even on their own website. Don’t forget to let me know what you think. I would also love to know about other brands you are loving at the moment. Feel free to comment down below. Next Post Am I Real Enough?